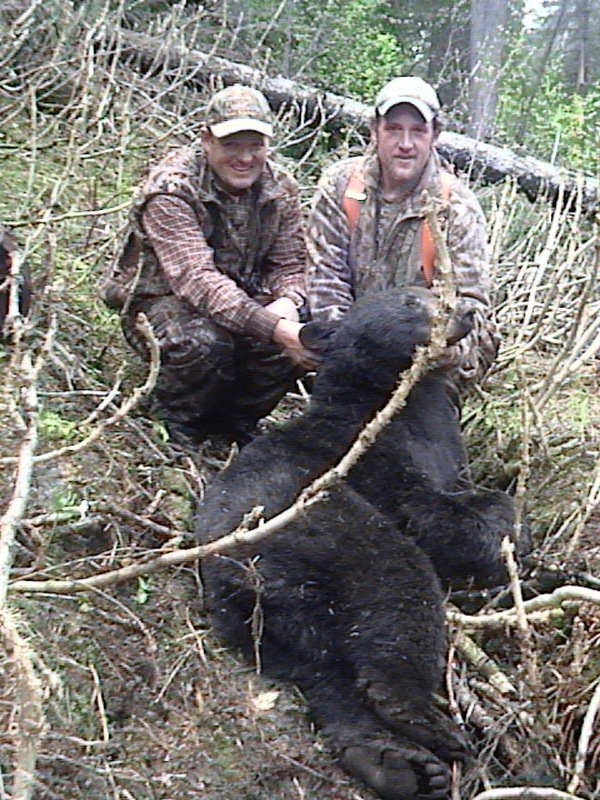 Our area produces a large amount of color-phased black bear including blonde, brown and red; most of the bear that are black have interesting white chest markings. 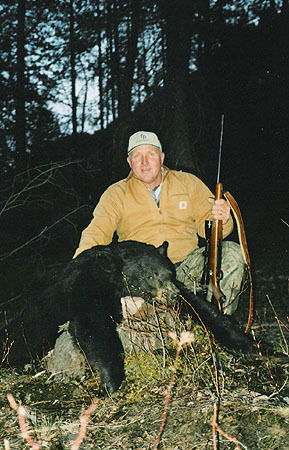 Spring black bear hunts may not always be in the Wilderness. Hunts take place in April and May and are generally 5 days. 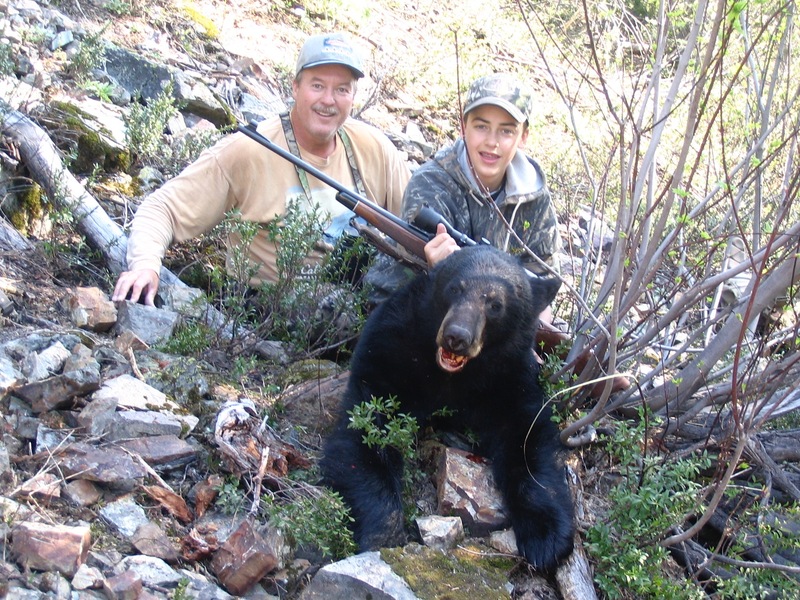 Spring comes late to our area and packing camps into the Wilderness for spring bear hunting is usually not an option due to snowpack. 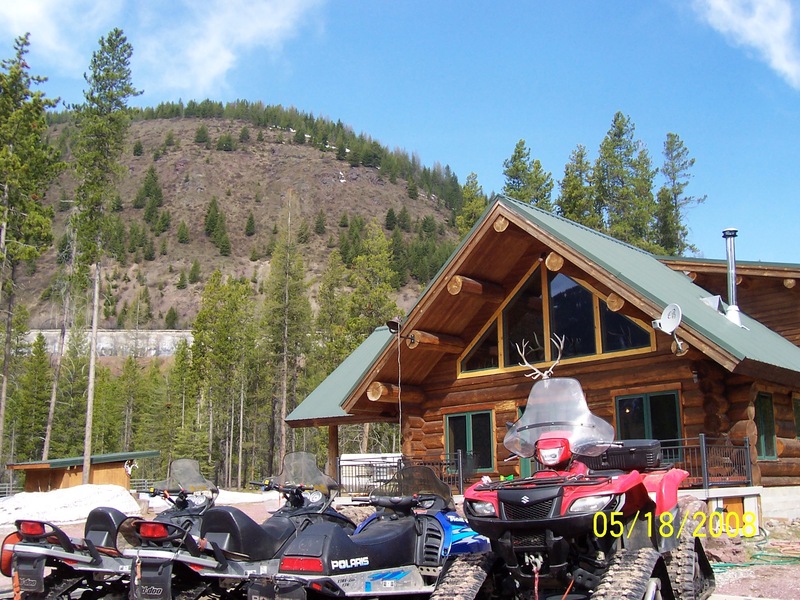 Depending on the spring thaw, we use a variety of transportation while hunting from vehicle to snowmobiles to 4-wheelers to horses. Hiking will be involved also. There are numerous trailheads we use a short drive from Base Camp. The areas hunted are snow slides, gated roads and old burns that are just turning green. 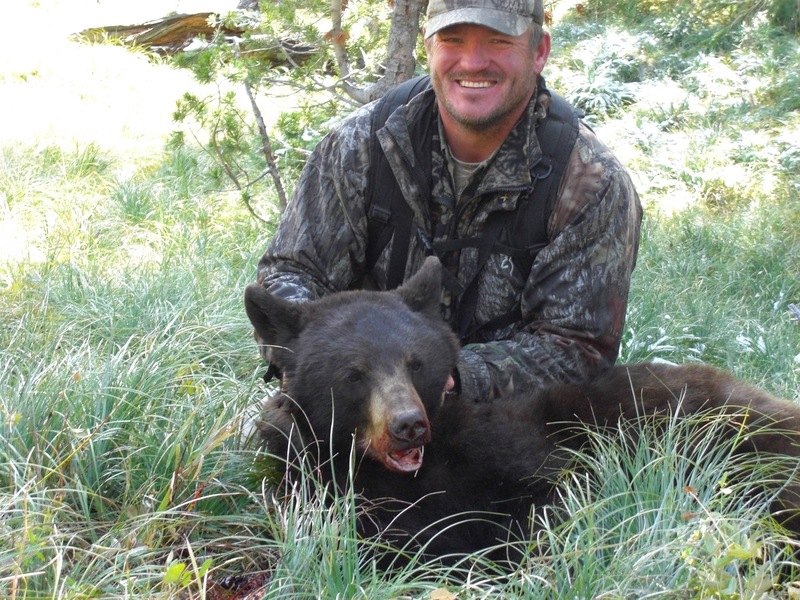 Bears are hungry for green grass when they come out of hibernation, so the areas that green up first are the prime spots to hunt. Snowy Springs is a full service outfitter; we take care of you from the airport until we take you back to it. We do not charge extra fees for anything. If you drive, you are more than welcome to show up a few days early, leave a few days later, etc. Glacier National Park is our backyard and a lot of clients like to do a little sightseeing if they have time. If you don’t have a vehicle with you, we are more than happy to be your tour guide. We have cabins at our Base Camp location where hunters stay, complete with full bathroom and kitchen, internet access and Dish TV. Meals are prepared and served in our shop, right next door. We have a shooting area at our Base Camp if you want to double check your gun before heading out for your hunt. Our local Cafe’ and Bar is within walking distance of Base Camp. 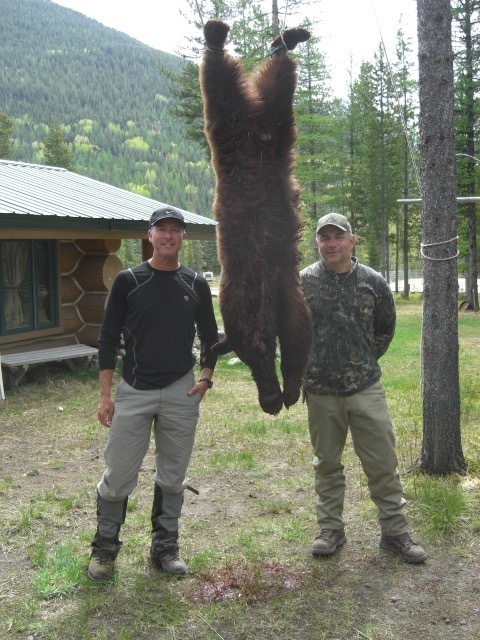 Before purchasing your Black Bear license you will be required to take a Bear Test through the Montana Fish, Wildlife & Parks website. 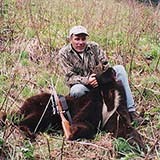 Northwest Montana has a healthy population of Grizzly Bears which we are not allowed to harvest at this time. 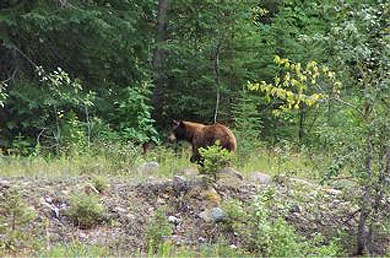 The test will help you distinguish between the Black Bears and the Grizzlies. There is a tutorial available for bear identification. You can’t fail the test; you just keep taking it until you pass. Write down your Certificate number or print the Certificate as you need the number for your license application. Don’t worry; you will always have a guide with you to make sure which type of bear you’re looking at. 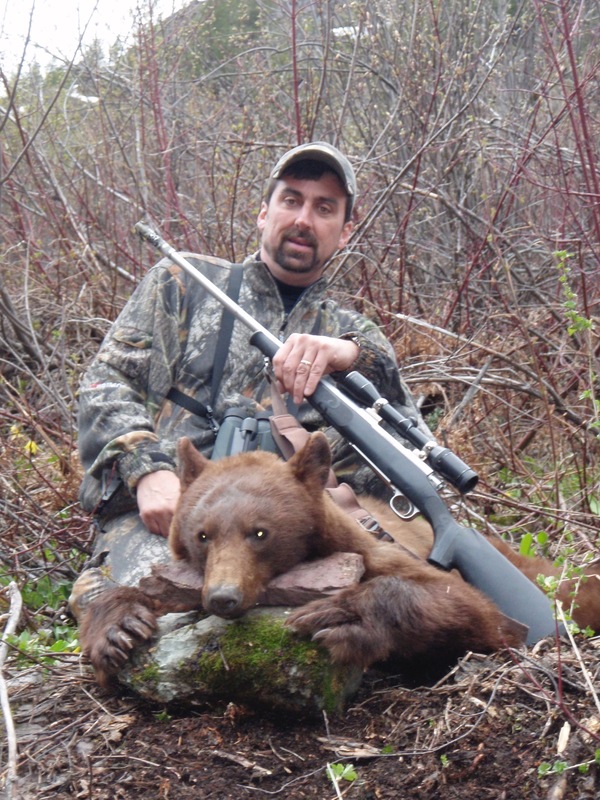 Shawn is a licensed taxidermist and has trained all guides in skinning to make sure your hide is ready for mounting according to your desire. From a shoulder mount to a life-size or rug, they can handle it. We do not process the meat; we will get it to the processor with your cut and wrap order. 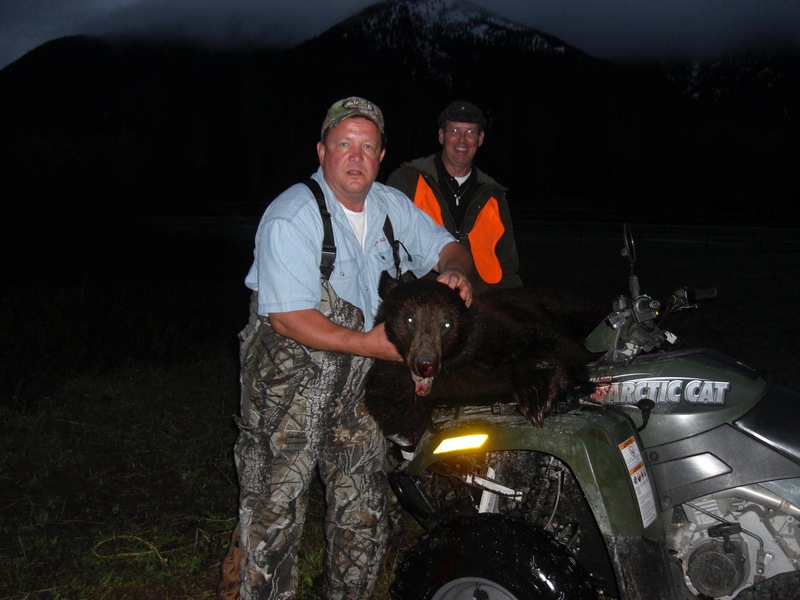 If you drive, a lot of hunters bring ice chests or even freezers to take meat home to process. Resident and non-resident licenses are sold over the counter or online all year with the exception of Moose and Mountain Goat which are Special Drawing Licenses needing an area number. Areas available change each year; if you want to apply for one, contact us to determine which area number you would need to enter. Montana uses a system they call “ALS“ for licensing. The number is your birth date with an number added to it. 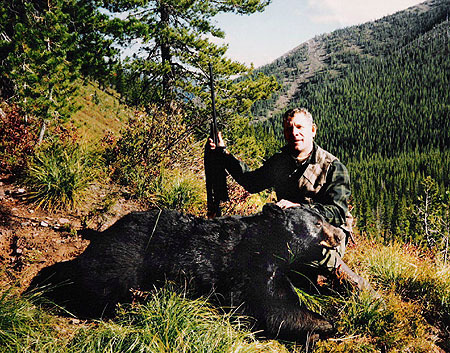 If you hunted in Montana since 2002, you already have an ALS number. It is best to always use the same ALS number as it is a record of all your pertinent information and Bonus Points earned. If you need to find your ALS number, go to the link below. Make sure you use same information as the first time you were issued one; for example if your zip code has changed you need to use the one you had then. **New this year: you can search your ALS number without setting up an account. 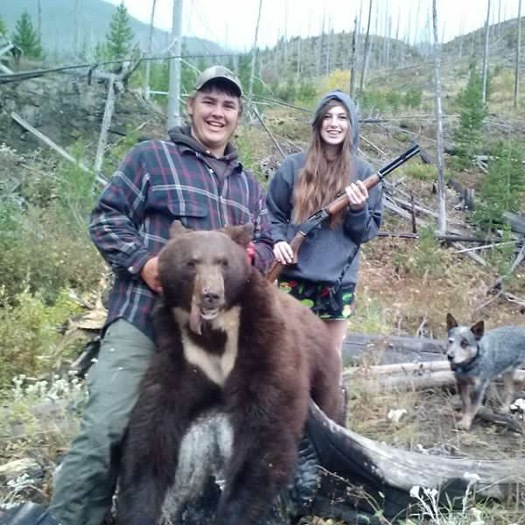 But, Montana Fish, Wildlife & Parks is pushing for people to “Set up a User Account”. If you wanted to edit your information, update your address, etc., you will have to set up an account.